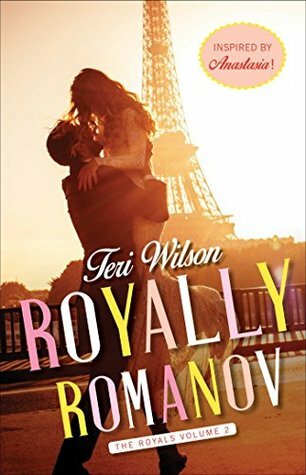 “Royally Romanov” by Teri Wilson is a delightful retelling of the “1956 classic of Anastasia”. The genres of this novel are Fiction, Women’s Fiction and Romance. Terri Wilson describes the characters as complex, and complicated. In this novel, Finley is an author and curator in a museum specializing in the Romanov history. She is fascinated with the family and the beautiful intricate jewelry. Maxim wakes up in a hospital after an attack, and has no memory of what happened. His only clues are from the journal the Detective gives him. He finds out that his name is Maxim, and in the back it says that he is Maxim Romanov. The timeline of the story is in the present, and takes place in Paris, France. Maxim goes to the bookstore where Finley is representing her book on the Romanov Family history, trying to get some information, and meets Finley. Somehow the two feel a deep attraction. Finley’s past reminds her what has happened to Maxim, and she can relate. I love the way the author describes the museum, and Paris. It sounds so romantic and appealing. Will Maxim find out who he is? Is it possible that he is a Romanov? Is it possible for Finley and Maxim to have a Fairytale ending? I would recommend this charming, enchanting and delightful novel for those readers that enjoy a light and easy read. I received an ARC for my honest review. Next postWEEKEND GIVEAWAY!! One e-book thank you to @Brenda Janowitz and $15 gift card to DD or Starbucks! Ends 7/26/17. USA Good Luck!!!! LIKE, FOLLOW, SHARE :LINDAS BOOK OBSESSION ON FACEBOOK!